-Portugal (4): The 21st century has seen the coming of age of The Navigators. Their biggest breakthrough came at the 2016 Euro where they went from drawing all their games to claiming the Cup in the end. This will prove to be an exciting World Cup as many believe this will be Cristiano Ronaldo’s last chance to try to win the World Cup, as he will be 37 by the time Qatar 2022 comes around. Portugal is more than just Cristiano Ronaldo. There’s striker Ricardo Quaresma, midfielder Joao Moutimho and star defensemen Pepe and Bruno Alves. Portugal looks consistent leading up to the Cup. They’ve had a good record since their Euro win. However they’ve had some notable losses like 3-0 to The Netherlands back in March and 3-2 against Sweden last year. They’ve also had some noteworthy draws such as 1-1 to the US and 2-2 to Tunisia. Portugal could just be able to come back to action here in Russia. -Spain (8): Things have been a real struggle for La Roja after the 2014 World Cup. The most notable being ousted in the Round of 16 at Euro 2016. It bit Spain so badly, Vicente del Bosque was sacked as team coach. They now have a new coach: Julen Lopetegui. He comes off of coaching Spain’s youth teams and Portugal’s Porto team. The change of coaching has worked very well. Spain came on top of the World Cup qualifying group. Spain have also not lost a match since Euro 2016 and even had a spectacular 6-1 win against Argentina back in March. However Spain has had some noteworthy draws like a 3-3 draw to Russia and a 1-1 draw to Germany. Much of that is due to Spain’s set of strikers being young and lacking experience. Leading to Russia 2018, Spain will be led by captain Sergio Ramos; one of four players on the team with more than 100 caps. Spain’s team consists of all but seven players who play for La Liga. Spain also has a lot of strong midfielders in Andres Iniesta, Sergio Busquets, and David Silva. Along with Ramos, Spain has Gerard Pique and Jordi Alba adding to their strong defense. 2018 can be another stellar year for Spain. -Morocco (42): Nigeria may be most lauded African team but Morocco deserves some credit. They are the first African team to advance past the Group Stage; all the way back in 1986. This will be Morocco’s fourth World Cup and their first in 20 years. They were lackluster in play over the last two decades or they’d just pull a surprise and soon fade away during that time. That has changed since 2016 when they acquired French coach Herve Renard. Renard had coached Zambia to the 2012 African Nations Cup. Ever since Renard helped Morocco qualify for the World Cup, he’s signed with the team until 2022. Morocco has had an impressive record these past two years. Despite losses like 2-1 to The Netherlands and 1-0 to Finland, they have scored notable wins like 2-1 against Serbia, 2-0 against the Ivory Coast and 3-1 against South Korea. Not too much is expected of Morocco with Spain and Portugal being favorites, but they could pull off an upset in Russia. -Iran (36): This is Iran’s fifth World Cup. No doubt they’re hoping this will be their first where they make it past the group stage. Portuguese coach Carlos Queiroz has been kept on as manager of Iran since 2011. He’s the coach that has coached the most games involving the national team. Most of the team’s players play for Iran’s Persian Gulf Pro League and Greece’s Superleague. Iran’s victories in the last while have been mostly to Asian teams. However they have drawn 1-1 against Russia and South Korea sending the message that they are capable of more than what most expect. Russia 2018 could just be their moment. And there’s my look at the teams of Group B. As for who will advance to the Round of 16, I’m going to go with my best hunches and declare Spain and Portugal. However either Morocco or Iran could pull off a surprise. Kaliningrad Stadium is known for its unique location. It’s in the city of Kaliningrad which is part of the tiny Kaliningrad Oblast: a Russian Oblast bordered by Poland and Lithuania and situated over 400 miles west of the Russian mainland! It’s location at the Baltic Sea explains why Kaliningrad Stadium is also nicknamed Arena Baltika. This new stadium wasn’t cheap. It came at a cost of € 257 million and had lost its original developer when it filed for bankruptcy in 2014. The stadium is located on Oktyabrsky Island and is expected to reduce its capacity to 25,000 after the World Cup. After the World Cup, the Stadium will serve as the host stadium for team FC Baltika Kaliningrad. Like Kaliningrad Stadium, Mordovia Arena will also be practically fresh for the World Cup. However this World Cup Stadium is more about its design. The design is based on the image of the sun, the main symbol of ancient myths and legends of the Mordovian people. The stadium is situated around the Insar River and is part of a big land development for the city of Saransk. Part of the development includes a new residential neighborhood, a new park, and a space for recreation, public festivities and leisure activities. The stadium has hotels, fan zones and attractions located within walking distance. After the World Cup, the stadium is expected to reduce its capacity after the World Cup to 28,000 and will serve as the host venue for team FC Mordovia Saransk. The stadium will also be turned into the largest sports, cultural and leisure center in Saransk and Mordovia. So there you have it. Another Group Stage group summary and two more stadiums in the spotlight. More World Cup reviews coming. Portugal (8): This isn’t simply the time for The Navigators. More like this is the century for them. Back in the 20th century, the team only qualified for two World Cup and two Euros. Now they’ve made every World Cup since 2002. Not to mention every Euro since 1996. The team features legends like Cristiano Ronaldo, Bruno Alves, Nani and Pepe. The team also shows promise for their youth as they were finalists in the under-21 Euro last year. They team will come to France in hopes of shaking off their embarrassment from the 2014 World Cup of being ousted in the Group Stage. The team brought back Fernando Santos whom coached Greece at the 2014 World Cup. The squad for Euro 2016 features a wealth of talent both old and young. Since Brazil, the team has had a lot of key wins against Argentina, Belgium, Serbia and Italy. They’ve also had some key losses against France, Bulgaria, Russia and England. The players playing their best strengths and the right team chemistry should take them far in Euro 2016, if not win. Iceland (35): Iceland amazes me. A nation of less than half a million people fielding a football team to be reckoned with. This is their first-ever Euro. They almost qualified for the 2014 World Cup going as far as the knockout stage against eventual qualifiers Croatia and even bringing them to a scoreless draw in the first match. They’ve even reached their highest FIFA ranking of 23rd for three months of last year. The team consist of members that play for a variety of teams throughout Europe across many different countries. Sweden’s Allsvenskan league is the national league with the most members of the national team. In the past two years, the team has had key wins against Turkey, Czech Republic, Greece and the Netherlands twice. However 2016 has shown the team struggle in Friendly play losing four of their seven matches including Norway, Denmark and the United States. France will be the first stage for them to prove themselves on an international level. Don’t count them out. Austria (11): Austria is an enigma. The team had their best days in the 1930’s and 1950’s. Since the 1960’s the team’s prowess has declined with only qualifying for four World Cups and giving a dismal showing at Euro 2008 which they co-hosted. Since 2014, the team has shown a remarkable turnaround. In Euro qualifying, they finished top of the group by winning nine of their ten games and only drawing once, even overpowering Russia and Sweden. The current team is coached by Swiss coach Marcel Koller and features players that mostly play for Germany’s Bundesliga. In the past two years, the team has had additional wins against the Czech Republic and Albania. The team has also had losses against Turkey, Switzerland and the Netherlands. I’m sure they hope to show the World what they’re made of in France. Possibly their best team in decades. Hungary (18): I’m sure Hungary hates being known as a ‘blast from the past’ but it’s easy to dismiss them as that. It’s a long ways since their days of being the ‘Magical Magyars’ back in the 30’s and 50’s which include two World Cup finals appearances and Olympic gold in 1952. Their first signs of their prowess waning came in the 60’s. Despite finishing third in Euro 1964, they only went as far as the quarterfinals at both the 1962 and 1966 World Cups. Since 1966, the team has never made it past the Group Stage at the World Cup with their last appearance in 1986. Their last Euro appearance was in 1972. The demise of Communism led to less focus on Hungarian football talent and an eventual demise in world rankings including a worst-ever FIFA ranking of 86th in 1996. However Hungarian football is making a comeback as there is more funding for football and more development of players happening nationally. They’ve even hired a German, Bernd Storck, as their head coach. Most of the players play for Hungary’s OTP Bank Liga but there are four players that play for teams of Germany’s Bundesliga. They’ve had notable victories in the last two years against Finland, Norway and Albania and some notable draws against Croatia and Greece. They’ve also had some notable losses to Russia and Germany. France could be the stage for them to prove Hungary’s back. Prediction: Okay, my final prediction for the final group. Predicting Portugal to top it is easy. Predicting the other two is heard because it could be any of the three. I’ll go with Austria second because of their consistency and Hungary third. And this not only sums up my review of Group F but of all Euro 2016 first round groups. Some of you may wonder why I haven’t predicted the winner of the Euro yet. It’s simple. Because I’ve always had a case on my blog of predicting the groups first and then making predictions for the knockout rounds as the tournament moves on and then then predicting the final just days before it happens. It always was my case. Besides if I went with my group predictions, I’d have a raw idea on who would win the Euro as I mapped them out. I’ve basically mapped out that the winner of the Cup would end up being France. Yeah, that raw. So hang tight right now. And that wraps it up for all my pre-tournament posting of Euro 2016.24 teams playing, only 16 will still stand after Wednesday the 22nd. It all remains to be decided over the next two weeks. More predictions and write-ups from me coming as the tournament progresses. -Germany (2)- Brazil may be the country with the biggest World Cup legacy but Germany is a close second. They have stats and feats of their own to brag about too: competed in all but two World Cups, has made the Top 8 every year since 1954, qualified for the final seven times like Brazil and won the Cup three times. The Mannschaft know how to make a power of themselves and create a legacy but they also have their own glitches too. Like there have been two Euro tournaments this century when they failed to advance past the Group Stage. Even in World Cup play within the past twenty years they have lost to underdogs like Bulgaria, Croatia and Serbia. The current German team is in good hands with Joachim Low who has managed Germany since the 2006 World Cup. He has guided Germany to the 2008 Euro finals and to the semifinals in the 2010 World Cup and Euro 2012. Germany also has their stars too like Bastian Schweinsteiger, Philipp Lahm, Mesut Ozil, Lukas Podolski, Thomas Muller and Miroslaw Klose who is just one goal short of tying Ronaldo’s World Cup goal record of 15. Germany already shows solid play as they’ve lost only once since Euro 2012, to the U.S. 4-3 and I’ll get to that later. They’ve also had good wins to England, Sweden, France and Chile. However they did have a 1-1 draw against their traditional ‘achilles heel’ Italy. Low and the boys will have a lot of proving to do in Brazil. No doubt they have the talent and skill to do it. It’s just a matter of them delivering. -Portugal (3)- Before this century, Portugal had only competed in two World Cups: 1966 where they finished third and 1986. Ever since the World Cup has expanded to 32 teams in 1998, Portugal has qualified all but once and they’ve shown their talent off in grand style. Their best World Cup performance this century was a fourth-place finish in 2006. Their biggest moment to shine was in Euro 2004 which they co-hosted with Spain and made it to the final. Even now they show themselves to be a formidable team full of talent like Cristiano Ronaldo, Simao and Helger Postiga. Right after Portugal lost out in the Round of 16 back at the last World Cup, they appointed Paulo Bento who already had a proven record with coaching Sporting CP. Bento has organized the team well and helped guide them to the semis at Euro 2012. Since then, Portugal has had excellent play with key wins against Croatia and Sweden and a big 5-1 win against Cameroon. They’ve only had three losses in that time to Brazil, Ecuador and Russia. Portugal has the consistency and the ability to go at this World Cup. Possibly even make the finals for the first time. Will they deliver? Brazil’s the stage that will decide. -Gh ana (38)- Ghana has proven themselves to be top African team as of late. They made it to the Round of 16 in 2006 and the quarterfinals in 2010. However while most African teams would consider their quarterfinal performance a feat as Ghana was only the third African team in history to advance that far, it was a disappointment as Ghana almost had a sure semifinal berth in their play against Uruguay. Even though the handball by Uruguay’s Luis Suarez was cheating, Ghana were unable to recover from it. We should remember with the World Cup in 2010 in South Africa, African teams had expectations on them unlike previous World Cups and Ghana was the only one of the six African teams to advance past the Round of 16. Ghana still continues to perform well including fourth-place finishes at the last two African Cups. James Kwasi Appiah is the head coach after being assistant coach during the last World Cup. Gyan is back as captain and AC Milan’s Michael Essien as vice-captain. However Ghana has a lot of proving. They have not won a game against a non-African team in the past two years and their FIFA ranking has dipped a lot in the past four years. It could be either a case of a team in decline or a team that just hasn’t been proven. This World Cup is their proving point. -U .S.A. (14)- Before this century, the U.S. men’s team was a joke in the football world. When you think the U.S.A., you don’t think football, or ‘soccer’ as they call it. You think baseball, basketball and American football. A last-place finish at the 1998 World Cup sure didn’t help much. This century, the U.S. have really developed a stronger reputation and are seen as a joke way less tan ever. The existence and success of MLS has helped a lot. Making the quarterfinals in 2002 and even finishing #1 in their Group Stage group in 2010 also made the football world see the U.S. men’s football team as an actual contender in world football superiority. However the last four years has been a yo-yo. For one thing, they had their lowest FIFA ranking (36th) in August 2012. They’ve also endured losses in the lats two years to Brazil, Jamaica, Belgium, Ukraine and Costa Rica. They’ve also had some great wins like 5-1 to Scotland, 2-1 to Mexico, 2-0 to South Korea and 4-3 to Germany (and I’ll get to the juicy bit soon). Part of their recent success has to do with hiring Jurgen Klinsmann who coached Germany in the 2006 World Cup. In addition is the talent and play of players like Landon Donovan, Clint Dempsey, Jozy Altidore, rising young gun Julian Green and goalie Tim Howard. 2014 looks like to carve another chapter for the U.S.A. and their quest for soccer supremacy that was once considered a long shot. Note: Spain vs. Netherlands may be the most eagerly anticipated Group Stage match of this World Cup but the second-most should be Germany vs. U.S. A. Why? First because the U.S.A.’s coach Jurgen Klinsmann played for Germany when the last won the world Cup back in 1990. Secondly because while Klinsmann was coach of Germany from 2004 up to the 2006 World Cup, Joachim Low was assistant coach and became head coach after Klinsmann’s departure. Already Germany got a taste of the U.S.A. in a friendly a year ago with the Americans winning 4-3. The rematch in Brazil should be full of intrigue. And now my prediction for the advancers: I believe it will be Germany and Portugal. The U.S.A. looks like the one most likely to upset. STADIUM SPOTLIGHT Now that I’m nearing the end of my World Cup preview, my Stadium Spotlights are now moving towards stadiums that are more like Brazil’s prized jewels. And this is definitely a grand one. A brand-spanking new jewel for Brazil, especially for its capital city. The stadium already had a big reputation in Brasilia with it being the stage for home games for Brasilia FC. However the stadium had to be demolished to have a newer bigger stadium in its place in time for the World Cup. Changes involved dismantling the lower tier, retaining the upper tier into the new rectangular bowl, adding a roof and pillars and reducing the size of the field into a football-only field. The changes made the stadium second to the new Wembley Stadium as the most expensive in the world. Nevertheless all the changes were ready by the Confederations Cup and for Beyonce’s concert last September. 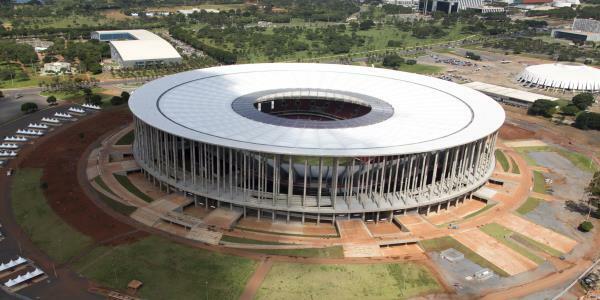 The venue will continue to be important after the World Cup as they will be home to Brasilia FC and will be a football venue for the 2016 Summer Olympics. And there you go. Another group review and another stadium spotlight. Last review to come on Sunday. Group A winner: Czech Republic-They started out badly with a 4-1 loss to Russia but they came back with wins against Greece and Poland. All I can say is that I’m glad goalie Petr Cech got a wake-up call from Russia otherwise the Czechs wouldn’t have finished #1 in Group A. Actually the whole team woke up after their big loss to Russia. Also great scoring from Petr Jiracek and Vaclav Pilar. As for continuing on, they have to play as well as they did in the last two matches because that match to Russia showed their vulnerability. If they don’t, they could face an early out because of Group B being the Group Of Death. Group A runner-up: Greece-Another team that was alive one moment and down the next. They drew again Poland 1-1 which turned out to be better than anyone thought. They also lost to the Czechs 2-1. That meant they had to deliver against Russia like they meant it and boy did they ever with a 1-0 victory. That sent them to the quarterfinals. The question is can they go further? As I said with the Czechs, Group B was the Group Of Death so any one of the teams that made it would be a formidable opponent for them. We also shouldn’t forget that they came alive in Euro 2004 when they were the least expected team to win. They could pull an upset again here just as they did against Russia but they have to be dead on and make everything as a team work. Group B winner: Germany-They’re the team that has it all right now. Excellent team play, smart coaching and straight wins. If one could make a judgment on who’s going to win the Henri Delaunay Trophy upon Group Stage play, I’m sure Germany would be your pick. However don’t forget Germany has been known to choke at World Cups and at Euros past. We shouldn’t forget they even got eliminated during Group Stage in 2000 and 2004. Germany has to remember to do things right and not get overconfident after their Group Stage success or they may be out sooner than they wanted. Group B runner-up: Portugal-What can I say? Great team play and Cristiano Ronaldo as the highlight. The loss to Germany was the only downside to their Group Stage play. They have the potential to win. It’s just a matter of them doing it. We shouldn’t forget that they could be their own worst adversaries and get an early out, like last Euro when they were stopped at the quarterfinals. Portugal’s strong enough to win the Euro. But are they smart enough to make it happen? Group C winner: Spain- The team that has been long known as football’s greatest underachievers keep on achieving. If you remember the World Cup, Spain gave a surprise win by winning all the knockout matches 1-0 including the final for the Cup. Here at the Euro, their winning was more spectacular. Nevertheless they did show some vulnerability as they drew against Italy 1-1 and beat Croatia with 1-0. Hopefully in the knockout matches they can deliver on demand because that trick of trying to win 1-0 may just backfire. Some of their rivals may have thing or two up their sleeve. If they want to be the first ever team to successfully defend their Euro, they have to do what it takes. Group C runner-up: Italy-The Azzuri had something to prove after their disappointment at the 2010 World Cup. They’ve made it through but it wasn’t a strong performance. 1-1 draws against Spain and Croatia and a 2-0 win against Ireland. That doesn’t look very strong for a team like Italy. They now have to start performing. They have however demonstrated improvement since the World Cup but here in the knockout games they have to play harder. I don’t know if they are still trying to get their power back or if they were just playing conservatively in the Group Stage but they can’t take any chances here. Group D winner: England-If there was any inability to play as a team, the Red Devils didn’t let it show. A 3-2 win against Sweden and a controversial 1-0 win against Ukraine shows the familiar winning flare of England. However conceding two goals against Sweden and drawing against France highlights their weak spots. They really have to come together in the knockout stage because they could face some tough rivalry from the other teams. Also England has never won a Euro in the past. Now more than ever should they show the world what England is made of. Group D runner-up: France-Italy wasn’t the only country seeking redemption at the Euro after a disappointing 2010 World Cup. Les Bleus were hoping too and they’re on the right path, if not completely smooth. Their 2-0 win against Ukraine showed they’re on and their 1-1 draw against England showed they’re getting their strength back. 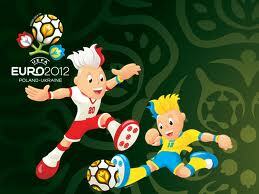 But the 2-0 loss to Sweden shows they still have some obvious weaknesses. 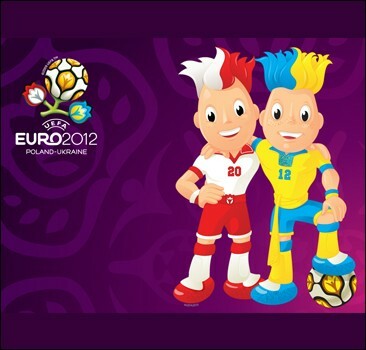 If they want to win the Euro, they really have to play smarter than in their game against Sweden. Group C was a tough group. Any bad moves or lack of team chemistry and it’s over for them sooner than they wanted. Czech Republic vs. Portugal – The Navigators will win. Portugal has a competitive edge over the Czech Republic and it shows no signs of slowing down. Even in Group Stage they showed their consistency by finishing second in the Group Of Death. Germany vs. Greece – The Mannschaft. Germany hasn’t played Greece in eleven years. However Germany is looking very strong and hard for Greece to beat. Spain vs. France – La Furia Roja will win. It used to be France in the past that had the competitive edge. Now Spain is the team with the strength while France is still in rebuilding mode. England vs. Italy – England will win with the possibility of penalty kicks. It’s been ten years since England played Italy and it was a loss. Mind you Italy is still in rebuilding mode. The Three Lions have shown they’re on and look very likely to beat the Azzuri to the win. Portugal vs. Spain – Portugal in overtime. Both teams look strong. Spain and Portugal have always had a rivalry with split results. I think Portugal has the edge because Spain has had some iffy plays lately. Germany vs. England – Oh boy. A rematch of the 2010 World Cup Round of 16. These two have also had a heated rivalry with results split both ways. I think it will be the Three Lions on penalty kicks. Mind you I’m sure England hasn’t forgotten the goal that wasn’t called. Portugal vs. England – If my predictions run true and the two actually meet for the final then Portugal will win. Portugal has the competitive edge over England this century and I don’t think it will change here. So there you have it. My predictions for the knockout rounds. Don’t forget I’m well-aware that any of the teams I predict to lose could in fact win. It would make some interesting changes. However I’m not putting any money on my guesses and you shouldn’t either!